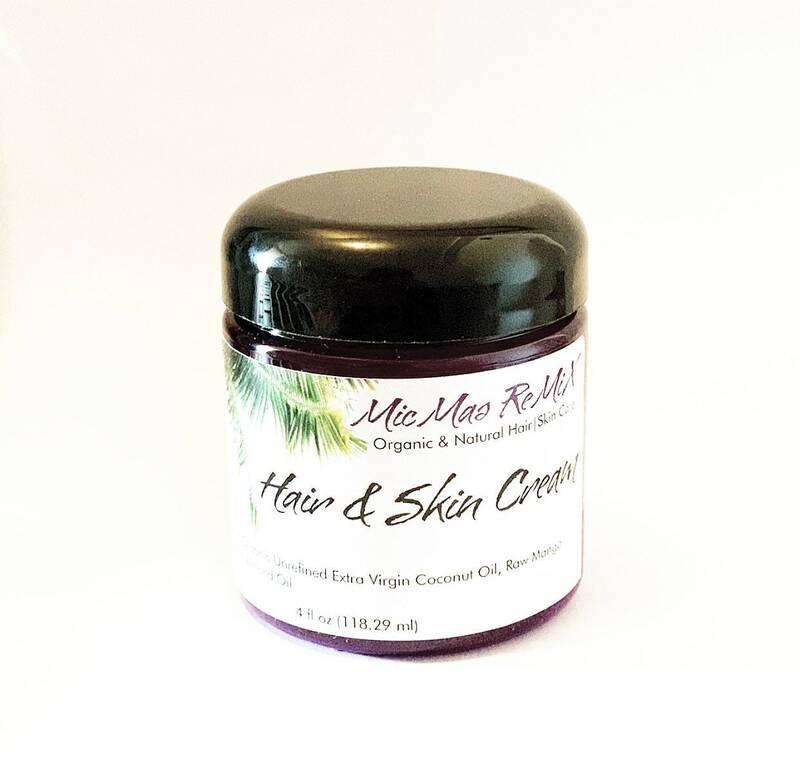 HAIR|SKIN CREAM with protein moisturizes hair to help prevent breakage, protect from heat, reduce shedding and nourish dry skin. 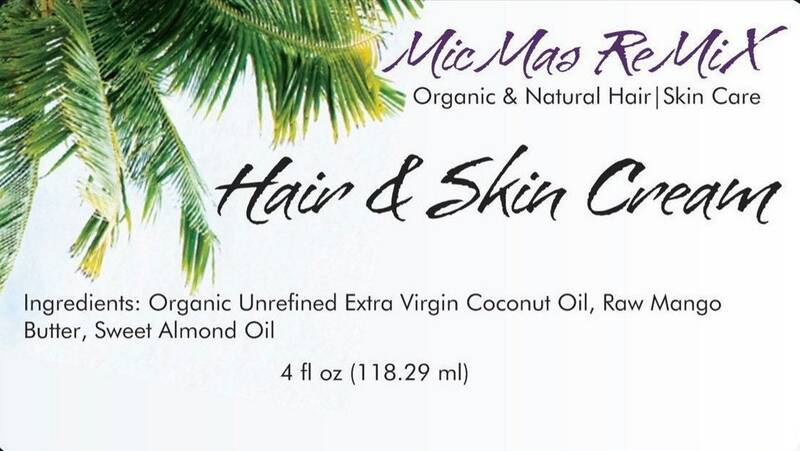 Our MicMas ReMiX Hair & Skin Cream keeps it fresh to get to the root of healthy hair and skin. 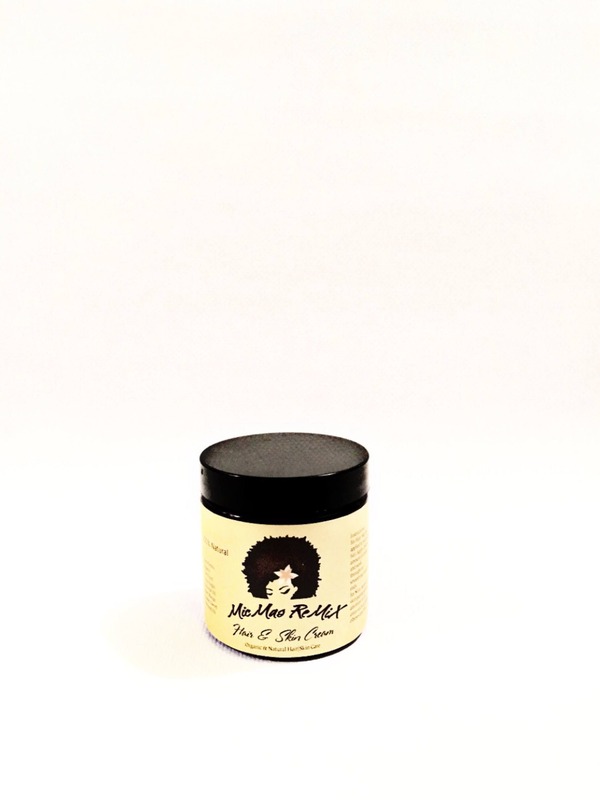 100% all natural high quality ingredients feed hair and skin by providing moisture and nourishment. For hair, it improves manageability by moisturizing to soften texture eliminating dryness, reducing breakage and helping to prevent split ends. For those that style using heat, the coconut oil in this formula makes it an excellent heat protectant because it coats, conditions and moisturizes hair very well, making it a premiere heat protectant. For skin, it is an excellent body oil moisturizer for dry and rough skin due to it's natural softening properties that is full of nourishing antioxidants. 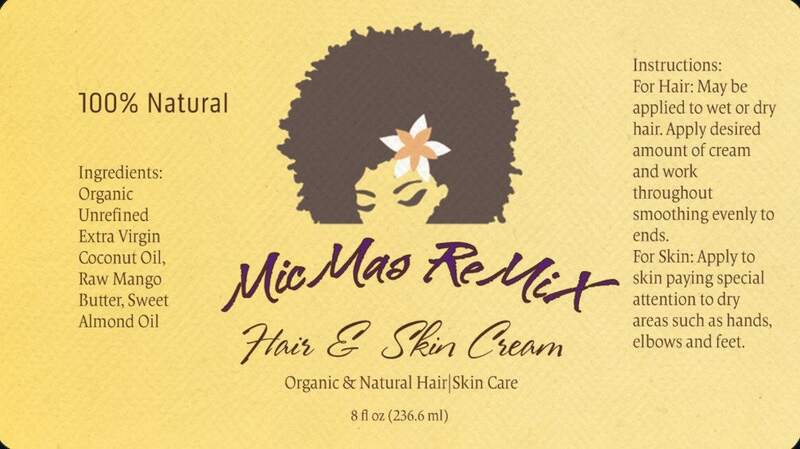 MicMas ReMiX Hair & Skin Cream leaves skin feeling soft and smooth. • It widens the lumen of the blood vessels, providing nutrients aiding healthy circulation to your scalp which promotes a healthy scalp, encourages healthy hair growth and prevents loss of hair.